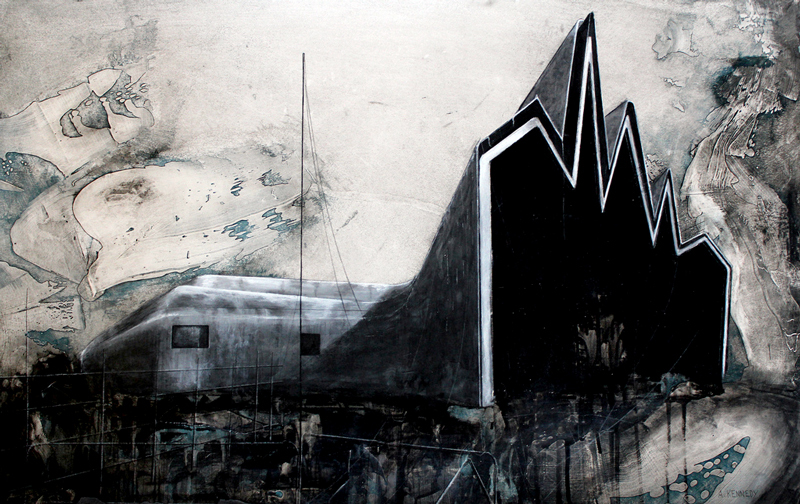 A few days ago I went to an exhibition on the new Riverside Museum that’s being built on the Clyde. From what I understand, the museum is part of a larger scheme to regenerate the riverside, making it more attractive and tourist-friendly. The Museum, deigned by Zaha Hadid, will be a museum of transportation, and is due to open in early summer. The Kelvingrove Art Gallery and Museum hosted the exhibition, where all the pieces were on sale, and 50% of the profit goes towards funding the Riverside’s development. Overall the exhibition seemed a little tame, and this was probably to help the sellability of the pieces. The space itself, a basement gallery with low ceilings, would have been perfect for louder, and even installation-based work. Also, the prices were a distraction. Surely if it had been made clear from the beginning that all pieces were for sale, interested buyers could just inquire about pricing? Or pick up a leaflet? 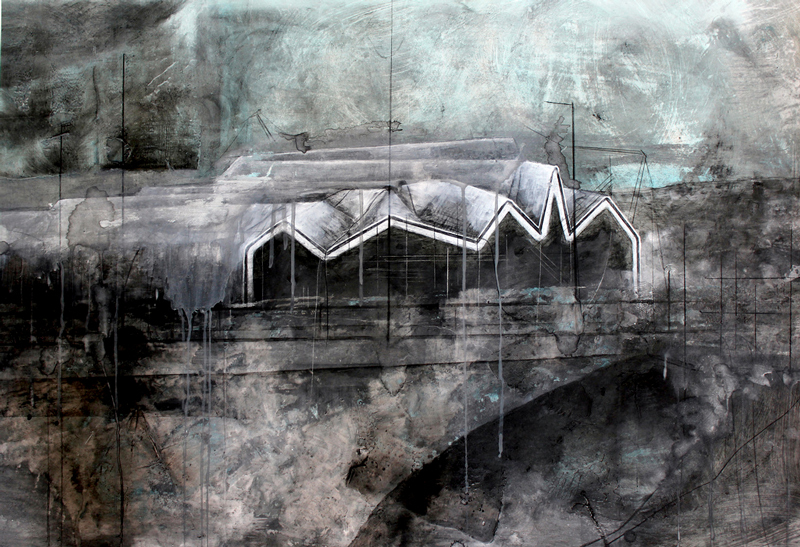 Despite the design of the exhibition itself, I thought the artists showed the cold, dark, industrial character that is synonymous with Glasgow as a city. My favourites were the ‘Mirror’ series by Ben Crawshaw, Adam Kennedy’s dark studies of the Riverside, and ‘Riverside Flock’ by Alasdair Wallace. Some of the other paintings featured can be seen here.